I have been trying to make a brushless motor, working in synergy with an electronic speed controller, to work, however, all I have been achieving is the motor vibrating at a specific potentiometer/throttle position. 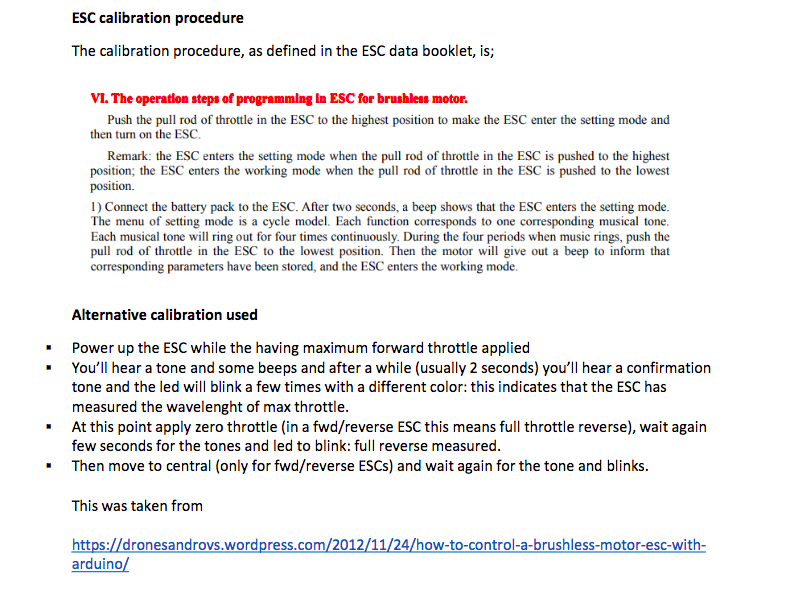 The following is a description of my components, circuit setup, code and calibration approaches. 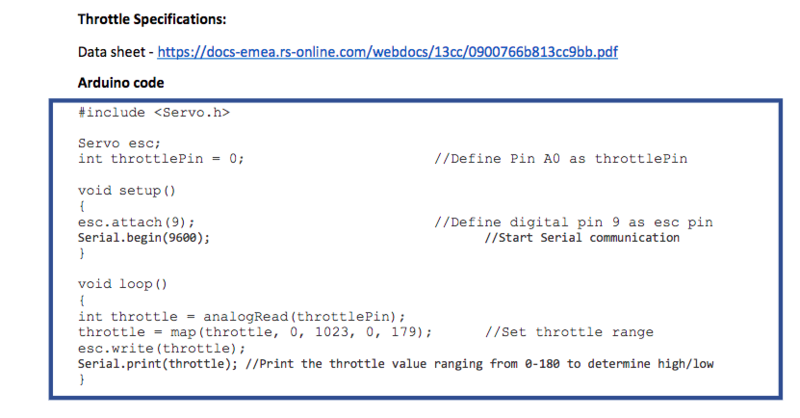 In the code image, it should say pin 8 instead of pin 9. One problem may be that the ESC is of a lower current and voltage level to that of the motor. I have been reading online that the ESC should have a current at about 10-20% higher than that of the motor, and a voltage of similar levels. However, to my understanding, this is to prevent any burnouts if operating at full voltage. In my case, the motor will be operating at 22V as full power (36V) is not required. I expected it to at least be turning, at a low speed, when 22V are supplied, which it is not. 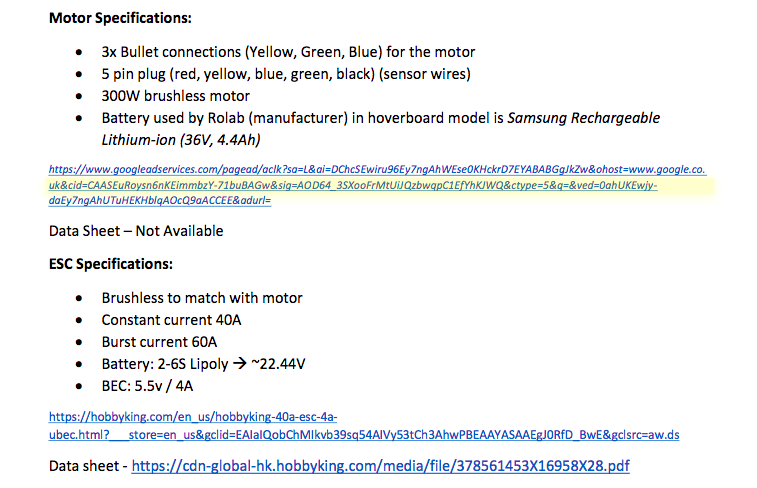 Another issue I thought was that the initialization process I am undergoing is not correct, however, upon checking online and cross referencing to the instructions specified in the Hobbyking booklet they appear to be similar, so I do not think is an issue either. Any advise or guidance would be highly valued. 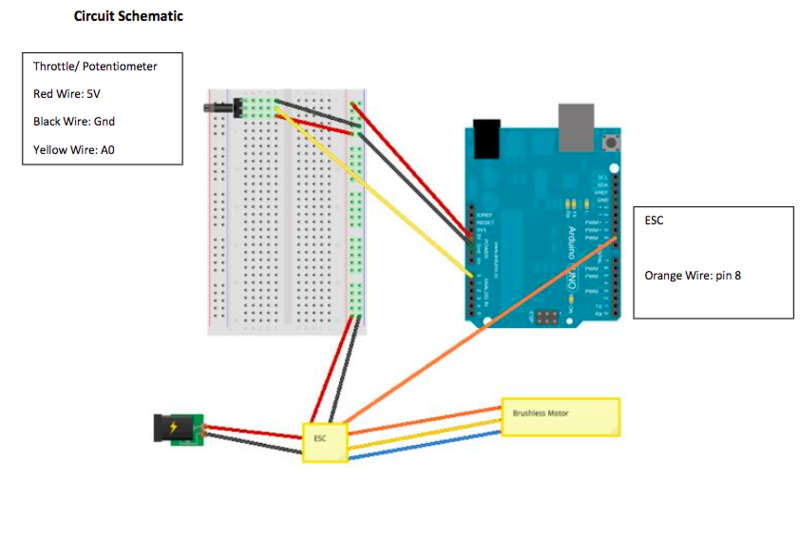 Browse other questions tagged arduino-uno arduino-mega motor potentiometer or ask your own question.